I have to admit I miss the days when getting post meant you'd likely get a letter or an exciting parcel from a friend or family member rather than just bills and bank statements. Nowadays in the hi-tech world we live in the majority of interesting things I receive come via Facebook, Twitter, e-mail and other means of social media. Even living on the other side of the world from the majority of my friends has done little to change that. The only exceptions being my birthday and Christmas. Whilst that's lovely and the instantaneous aspect of social media is great I can't deny that I still enjoy the excitement of receiving and opening an unexpected letter or parcel. So I was interested to learn that SingPost have come up with a new phone app that might just resurrect the excitement of checking your post box for mail. I was invited along to the recent media launch of their new app, 'Post-a-Card' which allows you to send personalised postcards to family and friends both here in Singapore and around the world (so perfect for expats too) in a few simple steps. The 'Post-a-Card' app is described as bringing 'back a more personal touch - the joy of receiving and holding an actual postcard, an unexpected memento of love or sharing of a great experience through the mail'. Of course, after going to the launch, I downloaded the app, which is free (always a good point for me) and available on both iTunes and Google Play and sent some postcards both locally and back to the UK to family and friends. Having now seen the finished results for the postcard I sent here and got the reactions from family and friends in the UK, I can only say it is well worth the minimal amount of time required to select photos and write the messages. I'm sure I'll continue to use the app on a regular basis in the future. The 'Post-a-Card' app allows you to use one of the template designs (with your own photo), either by taking a photo there and then or selecting one from your phone's photo gallery or Facebook albums. You then simply insert your message, add the delivery address and send it as a high-quality printed postcard (4" x 6"), all from the convenience of your phone. It's an incredibly simple and quick process to follow and guaranteed to brighten a loved one's day. As an added incentive when you download the app your first 'Post-a-Card' is free to send (for a limited period only). 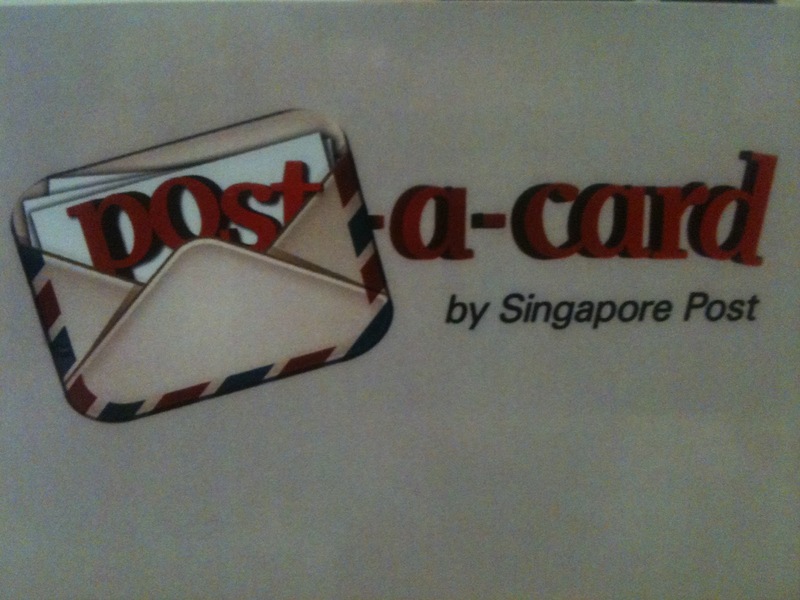 To send a postcard to someone in Singapore will cost you S$1.90 per card and S$2.50 to the rest of the world (so hardly budget breaking) and you can pay using your credit card, PayPal account or with pre-paid credits. 2) Top three 'Post-a-Card' senders will each win S$300 cash. Download the app now to experience the fun and excitement of sending a postcard to family and friends. Delivered by next working day* within Singapore. International deliveries usually take a week or a maximum of 12 working days. I actually think this a great idea. I'm terrible at writing letters home and I know a few members who would prefer letters to emails! I've certainly had a very positive response from family and friends back home all telling me what a lovely surprise it was to get a postcard. As well as the custom templates for particular events (eg. birthdays) there is also one where you can simply upload a photo so there is plenty of scope to send something that will be special to the particular person you are sending it to.